July 30, 2014 | LITTLE ROCK – Claudia Barone, Ed.D., A.P.R.N., a professor in the College of Nursing at the University of Arkansas for Medical Sciences (UAMS), has become the first nurse appointed to the Tobacco Products Scientific Advisory Committee of the U.S. Department of Health and Human Services, Food and Drug Administration (FDA). Barone is a nationally known expert in tobacco cessation. She has trained as a Tobacco Treatment Specialist at the University of Massachusetts Medical School’s Center for Tobacco Treatment Research and Training. Her research interest in tobacco cessation includes grant-supported work studying clinic-based cessation techniques. The 12-member FDA committee is selected from among those knowledgeable in the fields of medicine, medical ethics, science, or technology involving the manufacture, evaluation or use of tobacco products. The panel advises on issues related to the regulation of tobacco products. The committee reviews and evaluates safety, dependence and health issues relating to tobacco products and provides appropriate advice, information and recommendations. Among her professional affiliations and service, Barone is a commissioner for the Association for the Treatment of Tobacco Use and Dependence, a grant reviewer for the Susan B. Komen Foundation; serves on the board for the American Heart Association, Southwest Affiliate, Central Arkansas Division; and serves on the Little Rock Workforce Investment Board. 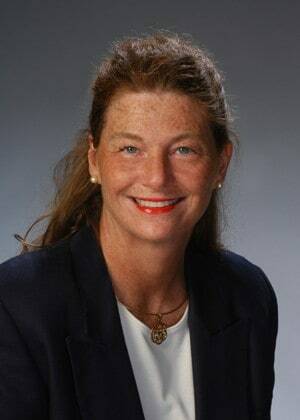 She is a member of the American Public Health Association, American Society of Perianesthesia Nurses, National Association of Clinical Nurse Specialists, American Association of Critical-Care Nurses, Sigma Theta Tau International Honor Society of Nursing and the Southern Nursing Research Society.